For over 50 years Community Workforce Solutions has been serving the community by providing training and placement services to adults with disabilities or other barriers to employment. 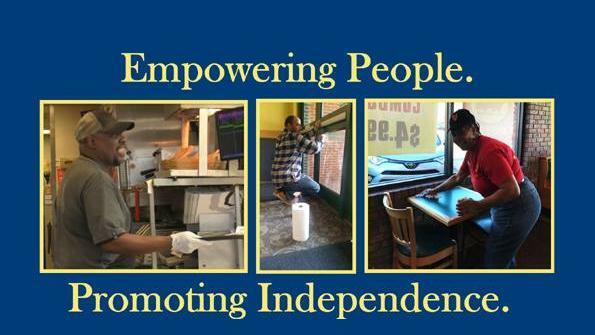 COMMUNITY WORKFORCE SOLUTIONS is dedicated to supporting persons with disabilities or other barriers to employment as each individual strives to achieve the employment and community integration goals of their choice. Give your baby a Clean Start with a greener and more affordable alternative to disposables. We provide individuals with a brain injury the opportunity to participate in satisfying, purposeful activities in a supportive, community environment. Artful Pathways allows participants at Community Workforce Solutions an outlet to showcase their artistic talent and creativity.